The focus of the United Nations Framework Convention on Climate Change (UNFCCC) originally was the reduction of greenhouse gas emissions, as well as emissions associated with land-use change and forestry. However, by the 2000s scientists and policymakers realized that emissions targets were too low to avoid serious negative impacts, necessitating the development of adaptation responses as a complement to mitigation. In the past few years, it has become clear that historical emissions have “locked in” a certain level of climatic change, making some serious impacts unavoidable. Moreover, the feckless response of the world in arresting emissions makes even graver unavoidable impacts likely. 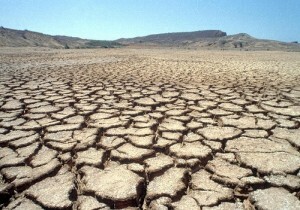 These “residual” impacts, over and above what can be addressed through mitigation and adaptation are termed “loss and damage.” Loss and damages include those related to extreme events, such as heatwaves, flooding, and drought, as well as so-called slow-onset events, such as rising sea levels. The potential direct costs of loss and damage will be huge. For example, UNEP estimated that loss and damage will cost twice as much as costs associated with adaptation across Africa in the next century. While there have been international calls to address loss and damage, only recently have the Parties engaged in earnest on the issue. Following two years of deliberations, the UNFCCC established the Warsaw International Mechanism for Loss and Damage associated with Climate Change Impacts, as the main vehicle to address loss and damage. The Mechanism calls for efforts to address gaps in understanding, initiatives to foster collaboration among stakeholders, and facilitation of efforts to mobilize finance, technology and capacity-building. It also establishes an Executive Committee to implement the Warsaw International Mechanism. However, questions remain about the ultimate vision for the loss and damage mechanism. While a number of developing countries believe that the mechanism should focus on reducing risks associated with climate change, many also advocate that it should establish the foundation for responsibility for climate damages. This could pave the way for liability, and ultimately compensation, by major greenhouse-emitting States. Will the focus on loss and damage undermine efforts to halt climate change? How can the Warsaw International Mechanism best address loss and damage? What are the implications for the U.S. as these mechanisms are developed? Why would focusing on loss and damage undermine efforts to halt climate change? Understanding future loss and damage (e.g., the coming inundation of Southern Florida and many coastal cities, more droughts, floods, wildfires, extreme weather, etc.) should drive action on climate change. I don’t believe that the UNFCCC will be the forum for determining and enforcing liability for damages. Domestic and international courts are the proper venue. Like with asbestos and tobacco, companies (rather than states) that produce a damaging product will eventually be held liable. Only this time, the damages will be orders of magnitude higher. Since time immemorial, people have, with good or bad reasons, been blaming each other for whatever happens. A positive effort to change energy systems towards more renewable content could be of substantial help, but because CO2 emissions are a worldwide phenomenon, the responsibility is shared, if not in quantity, at least in essence by each person that uses energy, and in one measure or another, directly or indirectly, we all do. It is a consequence of the time we live in. While I agree with that argument conceptually, empirically I think that countries such as the United States and China may contribute a tad more to these impacts than, for example, Vanuatu. The concept of common but differentiated responsibilities, enshrined in Rio and the UNFCCC, strikes me as a salutary way to ensure that those most responsible for the potentially catastrophic impacts of climate change on vulnerable developing countries, must take a stronger role in responding and helping assist vulnerable nations. Quite right, Horacio. Well said. @Dan. While any ultimate allocation of damages may take place in courts, the establishment of State Responsibility, a prerequisite to according damages, may occur through this mechanism, so I think its contours are very important. Of course, Parties to the UNFCCC such as the United States, and to a lesser degree the EU, are assiduously seeking to ensure the L&D is more of a research program than a platform for establishing liability. We shall see. Will: Note that legal challenges by private parties against fossil fuel companies may prevail before UN programs make headway in assigning responsibilities to states. In any case, a focus on loss and damages should encourage states and private companies to take action on climate because to do otherwise will just increase their liability… they won’t be able to argue that they took action once the dangers were clear. Agreed; it helps to build the foundation for both private causes of action and actions against States by establishing State responsibility. Increased emphasis on the adverse effects of climate change that will occur whether or not action is taken to reduce global emissions is entirely a good thing. I have several reasons for thinking this: 1. it injects a note of realism into discussion of unattainable targets to limit temperature increase to 2degC or less (though this should be clear from reading the INDC’s submitted so far, which add up to nothing like a 2degC limit), 2. it leads to focus on the vulnerability of poor countries and failed states in subtropical regions to natural disasters that will happen whether or not temperatures increase and 3. it should raise the question of what can be done effectively to reduce that vulnerability. I am convinced that the only way that vulnerability can be reduced is through political and institutional change within the suffering countries, so as to create a climate inviting to foreign investment in infrastructure needed to reduce impacts of natural disasters, and security and property rights necessary for residents of those countries to take measures that will protect themselves. There are a few problems. One is that the focus on loss and damage makes it clear that this is a moral issue, as Pope Francis emphasized in his recent encyclical, in that the regions that will put the most greenhouse gases into the atmosphere have no national interest in helping. And I put in the group China, India and Russia, whose emissions could cause substantial damage over the next century even if the usual culprits, North America, Europe and OECD Asia reduced their emissions to zero. Although the work of Max Tavoni and others at FEEM makes it clear that these countries also have no national interest in mitigation either, since damages are concentrated on others, the lack of incentive to aid the poor in adaptation is even clearer. It would be very unfortunate if the fact of vulnerability of poor countries to natural disasters only leads to what is now being discussed in the negotiations. What is needed is not simply transfers of cash, especially to countries whose leaders and political elites will pocket them for their own benefit rather than making changes needed to reduce vulnerability. Nor do UN agencies or other top down international aid agencies have any track record of success in creating conditions for sustained economic growth. Thus there is a real challenge to find mechanisms by which to promote the direct foreign investment and domestic institutional change necessary for reduced vulnerability. This is worth much more attention than it is given by the climate community. Even the smallest steps forward in this direction would be unquestionably good. Thanks for these sage comments, David. Keying on the last one, I agree that ensuring that any transfers of resources that may ultimately occur do not end up only in the coffers of elites in vulnerable countries is an imposing challenge. The MRV mechanisms that we’re developing in other contexts may help us to some degree, but we bump into challenges of State sovereignty, and the difficulty of actually “monitoring” the ultimate disposition of funds. We have to hope that community organizations and NGOs in many of these countries, will have the strength to help ensure that funds are spent wisely and equitably, but won’t always be the case! Those are some very good points made above. “Loss and damage” is one of those things that seems pretty obvious, I think, at the conceptual level, but the devil is most definitely in the details. My understanding of current negotiations is that it is still unclear what would qualify as loss and damage. If it covers all weather-related costs resulting from current levels of vulnerability and exposure, for instance, then it is essentially just a repackaging of existing aid activities from the rich world to the poor world. Valuable as those activities are, is this the point of the UNFCCC? What would be the added value? On the other hand, an agreement might concern losses and damages beyond what would have been expected in the absence of human interference with the climate, e.g. how much more likely (or not) is some damaging weather given our emissions than it would have been without the emissions. This would be in keeping with the explicit purpose of the UNFCCC, but it would require some very clear guidance. What burden of proof would be required? Would decent long-term monitoring of the local climate be essential, in order to confirm trends? This guidance would need to ensure a balanced consideration of the spirit of the agreement versus the realities of each nation’s capability to document nation-level evidence. Just as Keynes foresaw, the ill-conceived attempt by the Versailles ‘plaintiffs’ to impose reparations for “loss and damage” supposedly caused by Germany precipitated economics chaos, the Holocaust, and the greatest, costliest, most lethal war the world has ever known. Bombastic prose aside, Lewis, it should be noted that this is not my proposal. The posting was simply a summary of the current status of loss and damage at the UNFCCC. A related study was recently published by The Economist’s Intelligence Unit, entitled: The Cost of Inaction: Recognising the Value at Risk from Climate Change. Could someone address this report by sharing their thoughts on how institutional investors might respond to risks associated with loss and damage related to climate change? How might that response affect international climate negotiations?